Ferrari president Luca di Montezemelo just announced, quite plainly, to Engadget that he doesn’t believe in electric vehicles and therefore the world shouldn’t hold its breath for a Ferrari EV. 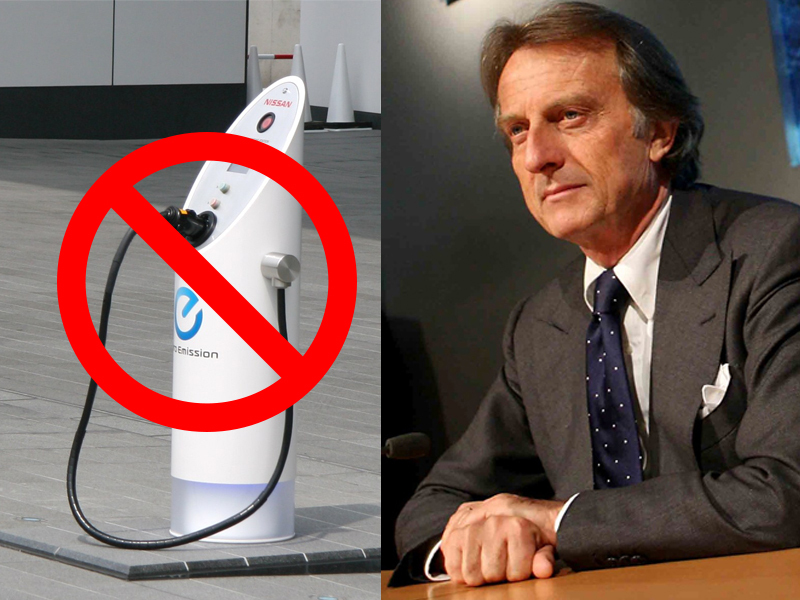 The Italian businessman and smooth talker stated that he didn’t believe that electric vehicles were the key to future CO2 reductions and pollution control, and so he and the company just aren’t going to bother dabbling. We think they better start cracking on some sort of green technology because with their fleet average of 15 miles per gallon, they are way behind the rest of the world in terms of fuel efficiency. We are stunned that such a technology-minded company like Ferrari would brush aside the idea of a no-emissions vehicle, and a little confused by di Montezemelo’s last statement. We have also already seen the mystical hybrid that di Motezemelo is speaking of. 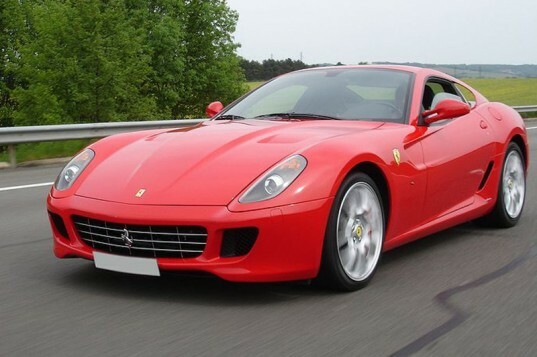 Ferrari has a hybrid vehicle out in the world, the Ferrari 599 HY-KERS Hybrid supercar, that was unveiled over a year ago in Geneva and comes complete with a hybrid system that brings the fuel economy from 9 mpg up to a whopping 15 mpg. So perhaps what di Montezemelo meant to say was that one would be able to actually purchase a hybrid Ferrari. Ferrari’s race cars already incorporate energy recapture technology, and di Montezemelo has noted that he hopes that all future Ferrari’s incorporate this and other hybrid technologies. Even if minimal, thank goodness the company is incorporating some fuel-efficiency into their fleet, because being in the bottom class of averages doesn’t seem like the place for such an innovative company. But, I think Ferrari might be missing out a potential market for a different sort of performance enthusiast. An all-wheel-drive electric roadster has the potential for a much faster 0-100 than than a Ferrari can muster, with greater simplicity. In most any car, that first 0-40 pulls your eye balls to the back of your skull. 40-60 becomes a little less of a headache. 60-100 might not even you pressed against your seat. But, the linear torque of a really powerful electric motor could risk dropping your blood pressure into unconsciousness. If you can afford a Ferrari to begin with, you don't really concern yourself with 4 dollar a gallon gas to begin with. And people will still buy them anyway, after all they are still one of the ultimate in prestige, power, performance, and style. While I have no doubt he might rescind his statement in the future when everyone has hybrid or electric Porsches, Corvettes and Lamborghini's. This is a Ferrari. If you can afford one, 15 MPG is not even a concern. They have their niche, and a profitable one at that. Ferrari president Luca di Montezemelo just announced, quite plainly, to Engadget that he doesn't believe in electric vehicles and therefore the world shouldn't hold its breath for a Ferrari EV. The Italian businessman and smooth talker stated that he didn't believe that electric vehicles were the key to future CO2 reductions and pollution control, and so he and the company just aren't going to bother dabbling. We think they better start cracking on some sort of green technology because with their fleet average of 15 miles per gallon, they are way behind the rest of the world in terms of fuel efficiency.